You are not logged in. [Log In] ETS Forums » Forums » The Survival Forum » The Survival Forum » Barricades are there for a reason! #290187 - 08/10/18 07:44 PM Barricades are there for a reason! 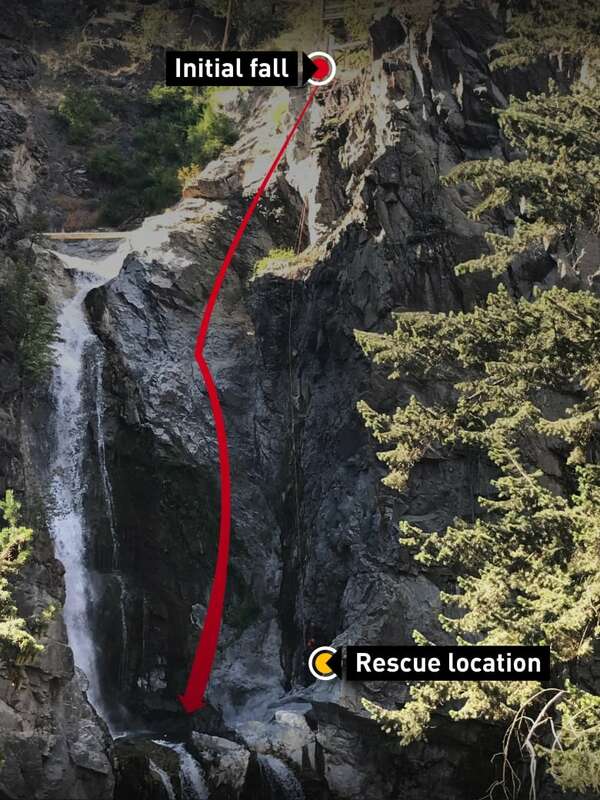 This gentleman miraculously survived a 150 ft. drop into a waterfall -- largely unscathed! As I understand it, he climbed over the safety fencing to get the perfect shot and slipped on moss-covered rocks. Yes, those barricades are there for a reason. First rule of survival: don't put yourself in survival situations! Brooks Falls in Katmai National Park is one of the premier places in the world to observe bears feeding on salmon. The other being McNeil River Falls, managed by Alaska State Parks. In both places the rangers do an admirable job of managing the people to provide for great viewing and filming opportunities, at the same time keeping people safe from bears, and bears safe from people. Around 6:50 p.m. Thursday, two Alaska residents and one tourist went into the closed area, the National Park Service said in a statement. The man used an emergency exit on the bear viewing platform to get down to the riverbank below, according to Ramos. Multiple bears were feeding on salmon at the time. "In doing so, the group violated National Park Service wildlife viewing regulations, putting themselves and wildlife at risk," wrote Mark Sturm, superintendent at Katmai National Park. Katmai rangers started getting reports from visitors and people watching the Katmai bear cam. "The group was contacted by park rangers and charges are pending. Details on identities will be released when charges are finalized," Sturm wrote. In Katmai, it's prohibited to be within 50 yards of a bear that is "using a concentrated food source" like the migrating salmon at Brooks Falls. One hopes the charges stick and the penalties are severe! Terrible year here so far for water and outdoor related deaths. New Zealand woman dies after group jumps from bridge in Sicamous, B.C. Hiker killed by falling tree near Campbell River, B.C. Your best survival tool is your brain, but it must be trained and used to work properly. This article references a recent flash flood incident in southern Arizona, my old stomping grounds, referring to a 1981 tragedy (eight fatalities) which was one of my more memorable operations. IME the threat of penalties imposed by the judicial system are nowhere near as effective, as those imposed by mother nature herself. One of the facilities where I worked experienced drownings every year--in areas clearly posted "no swimming". The facility was over-utilized and under-staffed and those signs meant nothing, if there were no staff attendant to the sign. When I thumbtacked a snapshot of myself, holding a three foot rattlesnake at a shoreline--which could have been THAT shoreline, illegal swimming dropped off to nothing.